Microsoft Excel is one of the most ubiquitous computer applications in today’s corporate world. 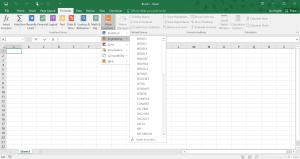 Fundamentally, it is a spreadsheet program, designed to enable the user to arrange and organize data into tables, to manipulate that data, and to create various reports and analyses based on the data. 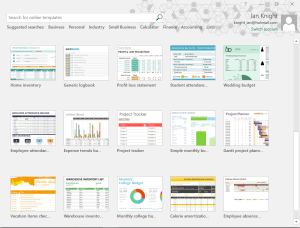 Here I review Excel 2016, running in Windows 10. 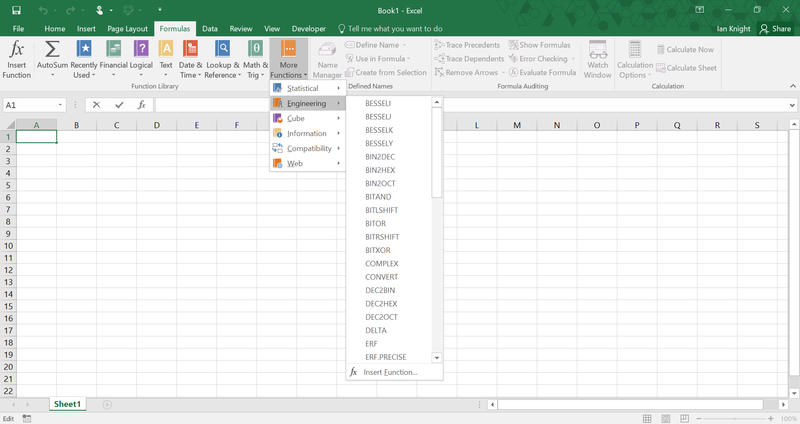 Excel is useful for many different things, but its versatility can be a hindrance to some of its primary functions. Its rich feature set results in people using it variously to create calendars and workflows, to format text for documents and presentations, and other functions that could be accomplished with applications designed for those specific purposes. In Donald Norman’s terms, from his book The Design of Everyday Things, Excel’s conceptual model is confusing, if not misleading. When the user first opens the application, they are presented with 26 different templates to choose from, performing functions ranging from budgeting to checklists, to project planning, to monthly scheduling. Interpreting this system image, a user may believe that the program is designed to perform all these functions when, in fact, many of these functions are at best rough adaptations of the basic spreadsheet functionality. 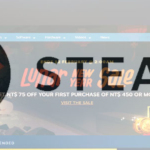 The user model is further confused when confronted with the default menu bar, which is dominated by a range of formatting options, including fonts, text alignments, and background colors. 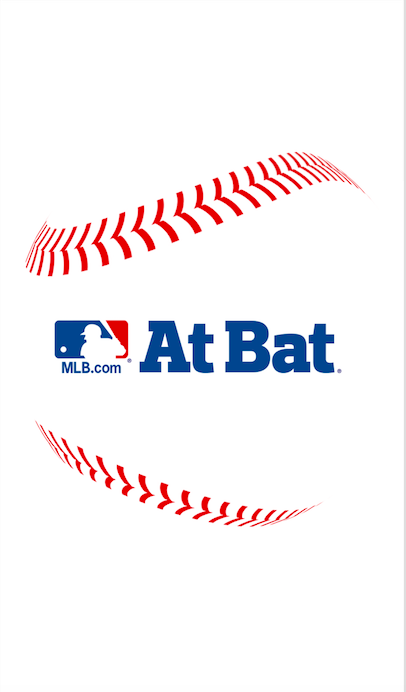 This emphasis often results in formatting taking a prominent role in how the user stores information in the program’s data tables. 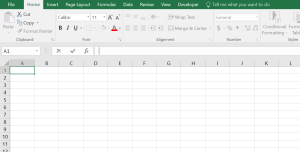 This creates problems when trying to use Excel’s data functions, as information stored as formatting is not generally usable in automated spreadsheet functions. An excess of choices (or, in Norman’s parlance, a lack of constraints) and a faulty conceptual model causes users to put unusable information into an information manipulation program. creation and presentation. As such, I would recommend at least deemphasizing the spreadsheet adaptations and formatting options as they are currently presented, and perhaps removing some of these formatting options entirely. 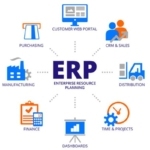 While this may reduce the versatility of the product, it will afford a system image more in line with the powerful spreadsheet tool at the heart of the design model. Eliminating unnecessary formatting options would also provide a constraint to prevent users from including information that gets lost because of misleading user affordances. In contrast to these misleading affordances, one of Excel’s most powerful attributes, its ability to manipulate data, remains almost completely invisible. 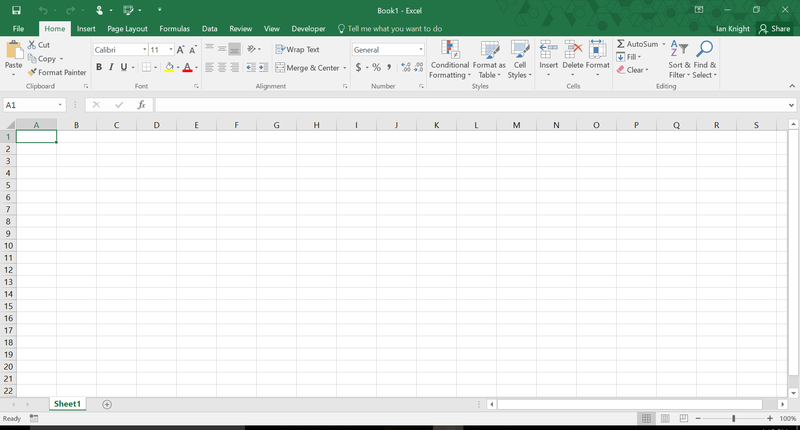 When confronted with the spreadsheet interface, it is pretty clear that the user can type information into various points on a grid. What is less obvious is that one can perform a wide array of functions on any of the information that has been entered so far. In the standard view, the indications (affordances) that the user can perform functions on data are limited to an “fx” symbol off to the side of the data entry bar, and a menu sub-heading, “Formulas,” placed fifth among the menu items, after such items as formatting. An experienced user will be familiar with the existence of data functions, as they are extremely useful and powerful, but they are largely invisible on the program’s main interface. Even when users approach these limited affordances, they are confronted with an array of seemingly endless functions, vaguely categorized and listed alphabetically, with little indication what any of them actually do. Furthermore, the user has little visible information of what these functions can or cannot do. 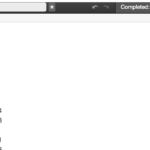 The combined lack of visibility of the functions themselves, and absence of affordances to suggest what the user can or cannot do, leave the user with little choice but to search through a list of dozens of functions, hoping to find one that will be useful, or else to simply assume that a desired function is unavailable. This visibility issue could be addressed by making a menu of functions more prominent in the default view, instead of the formatting controls that currently dominate. Further affordances could be provided by a more thorough categorization of the available functions, rather than an alphabetical list, and providing additional details in the menu as to what the functions actually do. This is obviously not an exhaustive review of Excel’s design, but rather a top-level application of several of Norman’s concepts. 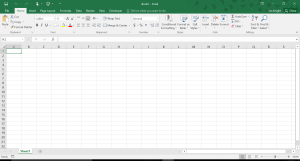 I have used Excel extensively over the years, and while I find it to be a powerful and useful tool, the list of design issues connected to it could surely fill a book.